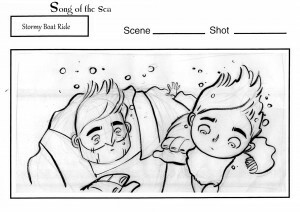 We had the privilege of interviewing Tomm Moore the director of the Oscar nominated films Song of the Sea and The Secret of Kells, to discuss his start in animation and his future animation projects. 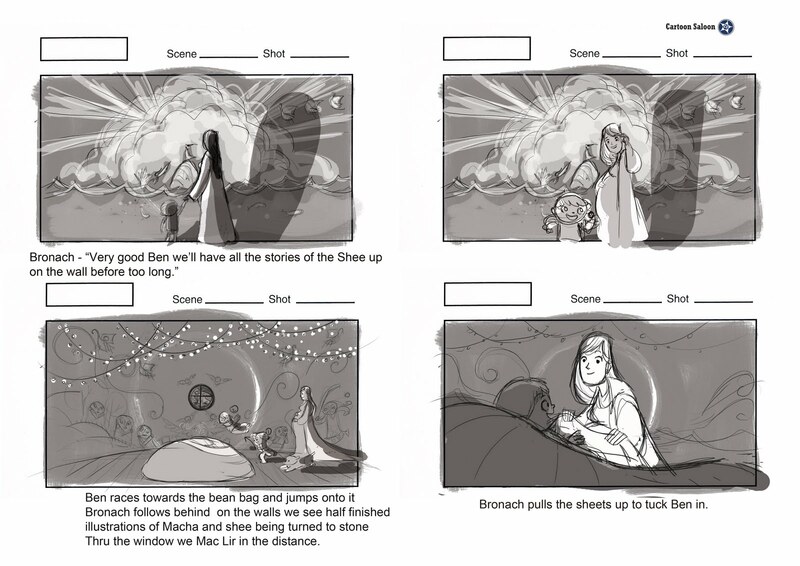 Also learn some of what goes on behind the scenes at Cartoon Saloon. On to the interview! Q. Could you tell us more about yourself and how you got your start in animation? I started out like most animation people, with an interest in drawing from a young age. Later I made some friends who had similar interests and we all got together in Young Irish Filmmakers in my home town here in Kilkenny. YIFM is a great group and basically gave us the space to set up our studio after we graduated from Ballyfermot Senior College. I was inspired as a kid that Don Bluth and Jimmy Murakami had studios in Dublin, it seemed like a possiblity to me to work in animation in Dublin or maybe Paris or LA, as it turned out I never even had to leave my home town! Q. 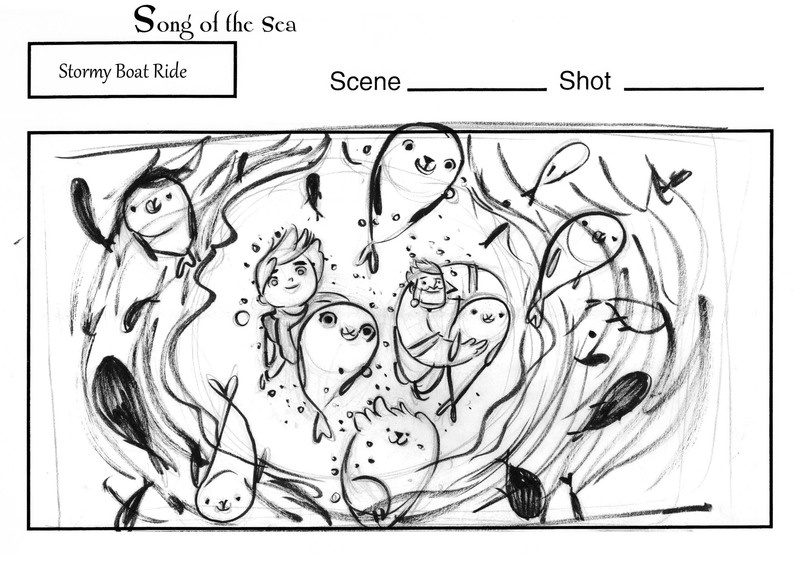 What are some things you learned in directing The Secret of Kells that helped you in making Song of the Sea? Oh, so many things, Secret of Kells was how I learnt everything from how to put the funding together, to building a team and running a studio. We basically trained on the job as it were, the dream of making our own feature is what inspired us to build our studio, Cartoon Saloon and the years we were in development we learnt all about financing and co-production as much as about writing and creating a film. When we finally got into production it was a whole new learning curve, everything, design, editing, preparing work for a team split between several countries and then working to ensure it was all consistent … all of that was a huge learning curve and I’m really grateful that I got a second bite at the apple with Song of the Sea and got to apply the lessons I learnt on Kells to that film. Second time out we had more experience and lots of goodwill from friends in the industry, it was still hard as we had a few bumpy years between the projects and we needed to basically rebuild our pipeline from the ground up. Once we got the team in place it flowed, at least for me, a lot better than Kells and I had some idea what to expect. 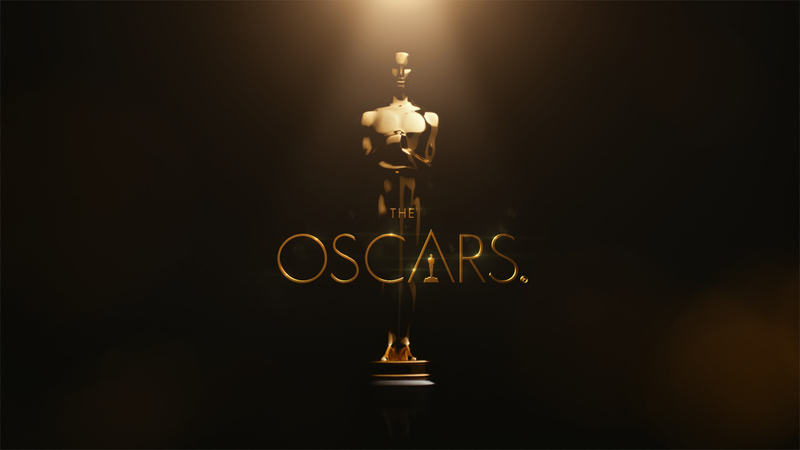 That said I believe every film is a prototype and I have had enormous good fortune to work with talented and dedicated collaborators, not just in my own studio, but in all the co-production studios involved. The amazing alchemy that happens when the right teams coalesce a shared dream is not something easily replicated and its especially hard when funds are limited. I am enormously grateful to the team we had in all areas and hope we can all work together again. Q. There is a great look and feel to your films, could you give us a little background on how you came up with the look of Song of the Sea? 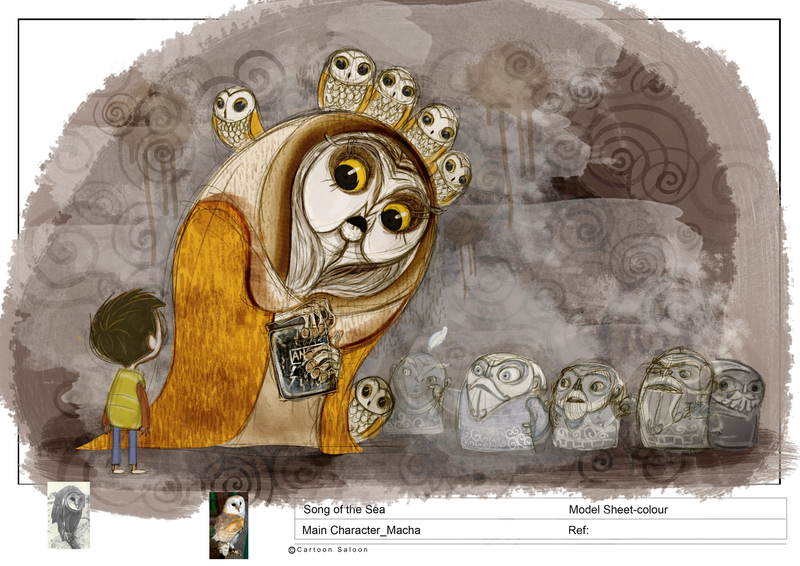 The look is largely thanks to our art director Adrien Merigeau, I focused on broad strokes, character design, composition, story telling drawings and some very loose location design but Adrien, who had been a lead bg artist on Kells, was really the one to bring it all together and design the look of the film. We drew on our experience on Kells as well as Adriens short films like Old Fangs and of course we looked at other artists we admired, I showed Adrien the landscapes of Ireland on several research trips and we had an idea to try and create a damp, atmospheric feeling using watercolours as a basis for everything. Over the development period we managed to mash our ideas and styles together to create something unique for this film by a lot of trial and error; when you look at the old concept trailer from 2009 on YouTube you can see how much the style evolved. For the dreams and stories we went very loose and the main part of the film, every bush and blade of grass was carefully designed and coloured by Adrien and the amazing team he assembled in Kilkenny and Luxembourg. 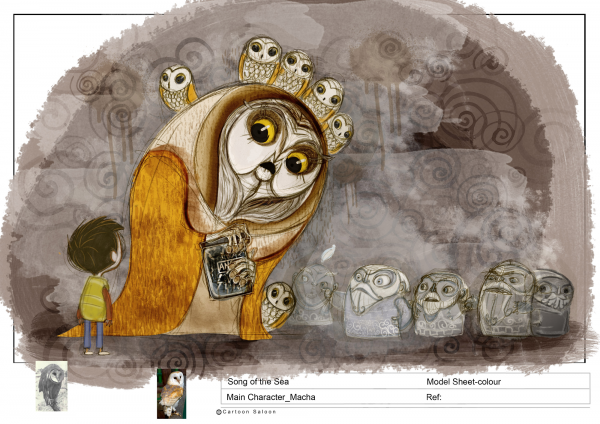 Here in Kilkenny we had a mix of illustrators who dont usually do backgrounds and seasoned bg artists from animation and previous Cartoon Saloon productions; this way we blended the concept design team and bg team into one. It was not easy to make a film so organically but Adrien personally adjusted each bg to make sure there was a continuity and flow. 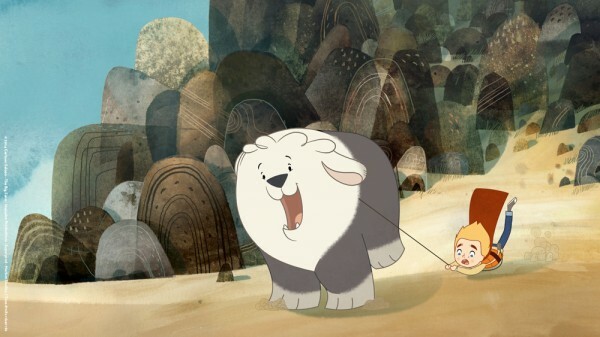 Adrien also worked with me right through the compositing stage in Digital Graphics studio in Belgium, who had done a lot of great work on Kells and Ernest and Celestine. We worked with the artists there on the digital SFX and compositing to ensure everything stayed true to the organic look we wanted. Those guys in Belgium deserve a lot of credit too for the final look – they did a lot of tests early on to try and help us find a way to do the sea and other hybrid effects where we mixed traditional animation and materials with CG to get a look we could afford and that looked in keeping with the mainly traditional looking film. For the handdrawn effects we had a great supervisor in Jeremy Purcell who also supervised and designed the effects for Kells, and the character designs were passed through many hands after mine, improving all the way….so it was really a team effort I believe. Q. What is some advice you can give for students and those wanting to get in to the animation industry? Draw, make stuff, share it, get out and meet people, dont be afraid to talk to people in the industry…take the time to study in a good college – those years will give you a safe space to grow in…then when you are nearing the end of your studies try to get out and meet people in the business, and all the time build a team of friends you can rely on for good critiques and support because its a tiny, tightknit business and personal skills and the ablity to get along with others and take direction well counts just as much as your drawing and animation ablity. Q. We hear you’re working on The Prophet with other directors and you each have a chapter you are directing, can you tell us more about the film and how you got involved? I co-directed a segment with Ross Stewart, my old friend here in Kilkenny. I’ve known him since our school days and he was art director on Secret of Kells. 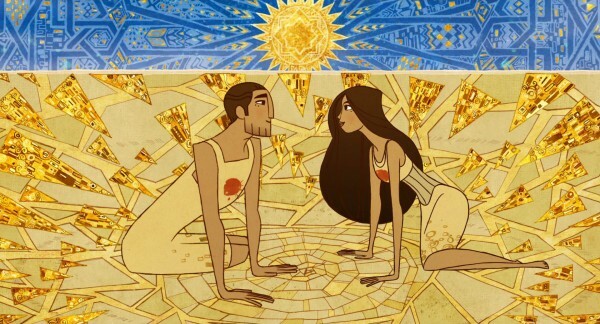 We are co-directing a feature together after The Breadwinner is completed here in Cartoon Saloon. 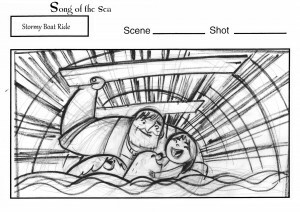 Ross ended up carrying a huge amount of the heavy lifting on the project as I was very busy on Song of the Sea at the same time. The producers of the project approached us early on and of course I was delighted to be asked to be part of the team of such amazing talents. I was especially honoured to work with Roger Allers who was the overall director and an animation hero of mine. 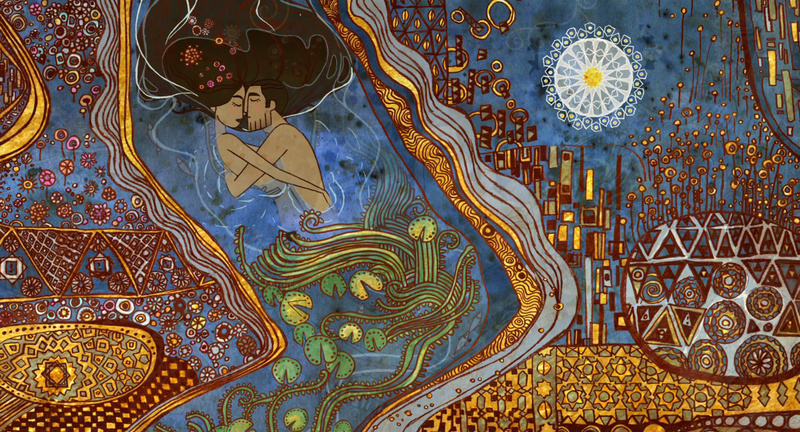 It’s based on a book of poetry by Kahill Gibran and I think it’s a very special and unusual film, with some of the most stunning visuals and examples of both Cg and traditional animation – I do hope it finds an audience. Q. Why do you think traditional animation has stayed strong in Europe and not so much in America? It’s not super strong in Europe but there are at least a few directors and producers continuing to choose it. I guess it’s because we make films mainly more from an artistic starting point rather than a commercial one and the visual arts are so strong in Europe. There’s a long culture in France, Belgium and other European countries of comics and animation that I think has really kept an interest in handdrawn work and the stop motion industry is similarly based on a long history. That said I feel European audiences, like audiences everywhere are mainly drawn to mainstream CGI animation and it’s a constant struggle to justify continuing to make these types of films….I hope we can continue! Q. Who are some of the artists, animators, and directors who have inspired you? Q. 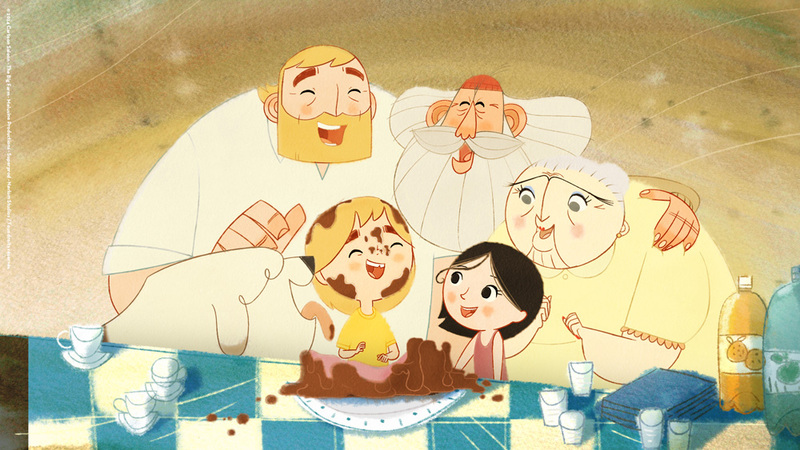 Cartoon Saloon turns 16 this year. Along with your partner Paul Young what are some challenges of directing movies and running a studio? Where do I start? – Number one challenge is balancing keeping the studio alive with doing projects we feel are worth sticking on the independant route. We always try to pick our work for hire projects very carefully so they allign with our core values but we do need to satisfy our clients as a first priority with those projects. Thankfully we are finding clients come to us more and more for what we do well now. It’s a hard balance between Nora Twomey the other creative director and me to balance our own careers as directors and artists with managing the studio. Paul still draws occasionally but he has mostly given it up to focus on producing, which means he is at least able to focus almost 100% on that, for Nora and I the trick is to keep the balance every day and week between doing what we set the studio up to do – improve as artists and directors and doing the company running and team leading work that’s needed to keep the studio alive. Q. Anything you can tell our readers about your next feature or what you are currently working on? I’m currently taking on as much of the creative directing of the studios other projects as possible to allow Nora to focus on her first solo feature film The Breadwinner. Im also trying to keep a hand in as a designer and board artist, focusing on certain sections that suit a different style to the rest of the film. Its a great project based on a novel by Deborah Ellis about a young girl in Afghanistan in 2001 who has to pretend to be a boy in order to provide for her family. 1. The process that is always evolving but still holds drawing at the core. I like that I spend at least some of my time every day drawing and I understand and enjoy working with other people who draw – it’s very inspiring. 2. There is a timelessness to handdrawn animation. If we watch Ponyo and Totoro back to back we dont see the changes in technology – the look is timeless. However CGI films are constantly being “upgraded” with the latest software improvements which means that the visuals date more quickly than a traditional style film. I really need to watch this! The Traditional Animation site is a treasure trove of knowledge and information. This is a great interview guys and with strong words of wisdom from Tomm. 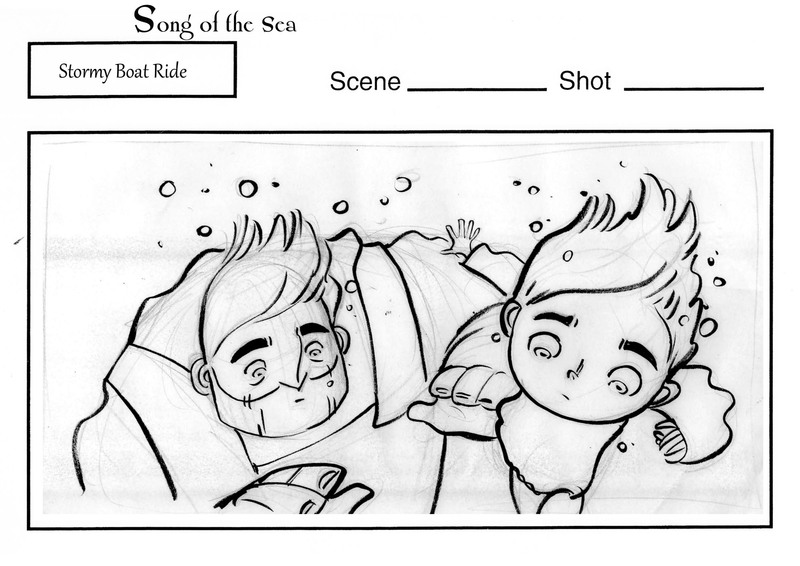 Great layout art, this film came out great! wonderful interview. 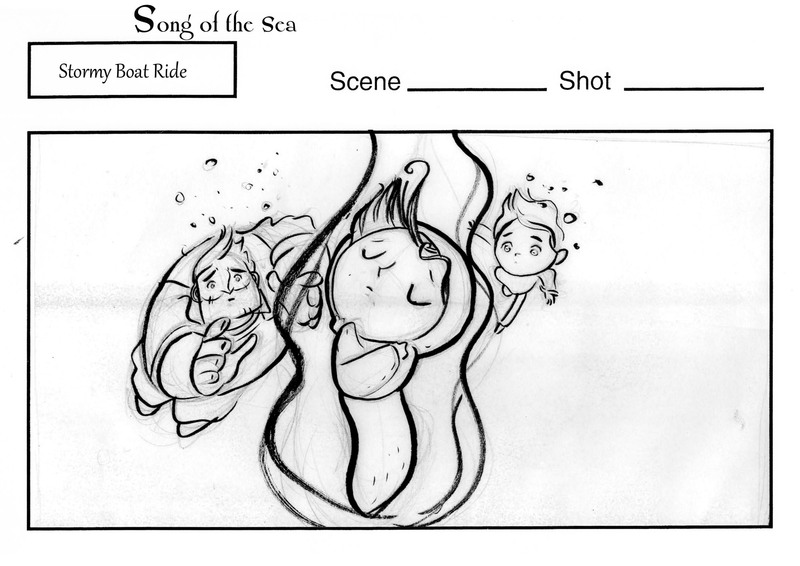 I hold great hope for the future of traditional 2D animation and am looking forward to seeing Song of the Sea! Song of Sea has such beautiful animation. Awesome interview! great interview as always! informative and great source. 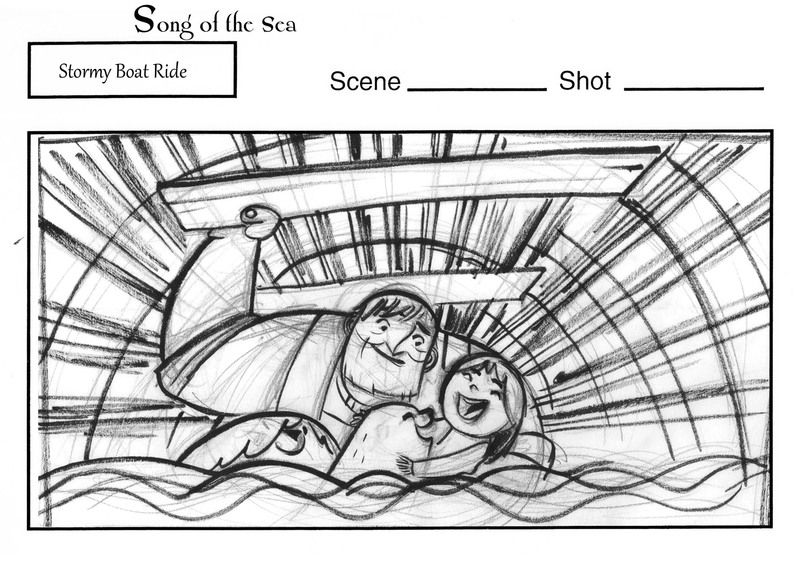 I personally enjoy looking at those storyboards and that watercolor piece is excellent! 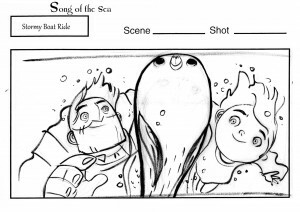 After reading this, I really got to watch Song of the Sea soon! Thanks to the creators! .. 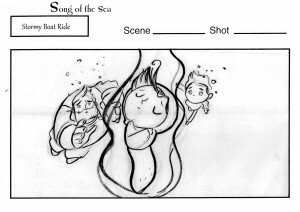 Animated feature “The Song of the Sea” sincerely “climbed” in the soul, and did not leave anyone indifferent. Great Interview, makes me feel like I can do anything if I keep continuing and sharing my talents. Great article! 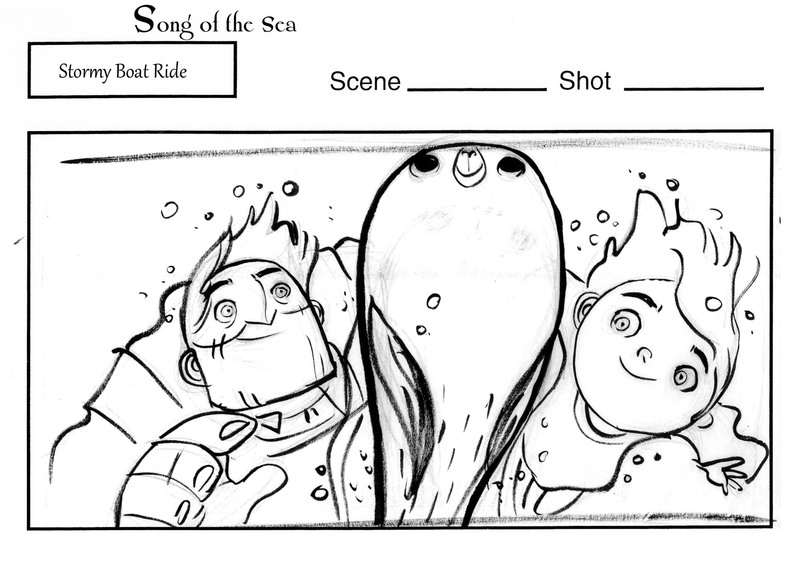 Can’t wait to see what Tom and the crew at Cartoon Saloon come up with next. Nice!!! 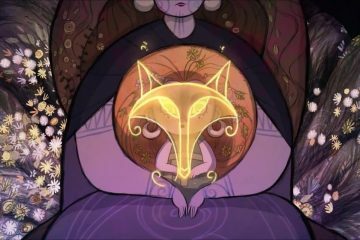 The Secret of Kells was amazing I watched it awhile back on Netflix and enjoyed everything about it the story and animation, and Song of the Sea is just as brilliant!!! It’s always cool to see these interviews it inspires me to keep animating, thanks!